an important milestone in the U.S.’s ambitions for commercial space tech. 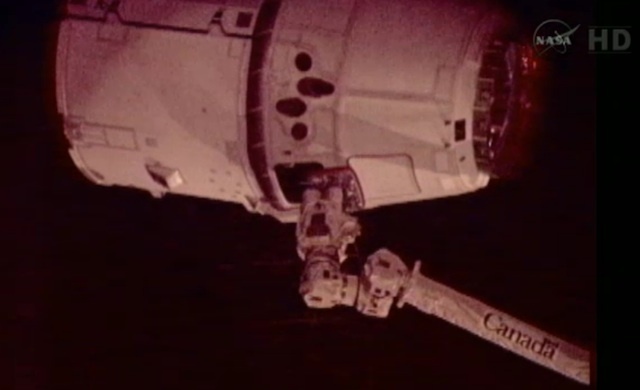 Update: NASA reports that the Dragon capsule has been manuevered to its docking port and successfully captured by the latch mechanisms on the ISS at 10:01 a.m. ET, effectively marking its berthing in space. The hatch will be opened soon, and then astronauts will later access the cargo. Check in on our main Fast Feed page for updates on the news through the day.